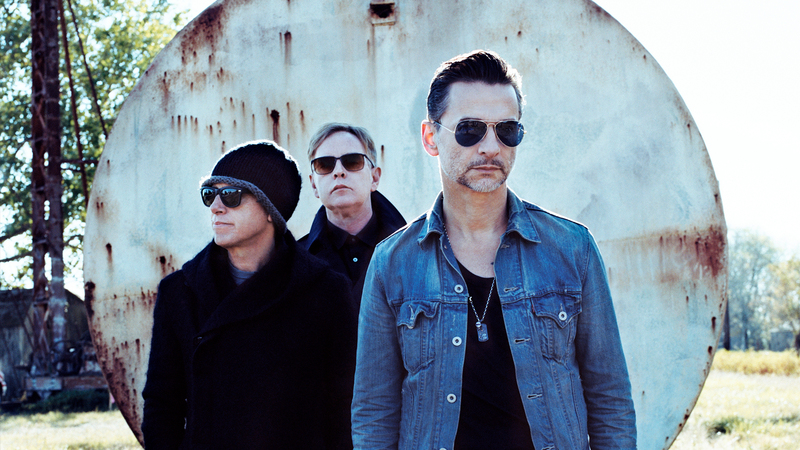 Lead vocalist Dave Gahan, guitarist Martin Gore, and bassist Andrew Fletcher of Depeche Mode will be releasing their highly anticipated fourteenth studio album, Spirit, in the spring of 2017. Along with the album, the band will be embarking on a world tour beginning next summer in Sweden, and although we don’t have it down in writing, the the "Heaven" creators have very strongly suggested that they will be giving us something to hold us off until then. According to NME, the trio have revealed that they have some free time before the tour starts, and would like to fill the gap with performances in smaller venues where they can play new songs for their fans. The “Just Can’t Get Enough” singers want to see how their fans will respond to their new music before they begin playing for thousands of people. The Global Spirit Tour will begin with a 32-date European leg, before making stops in North and South America (dates have yet to be announced). Just as with their previous tour, the band has made sure to rock out for a good cause, meaning the proceeds will go to Charity: water, an organization that brings clean water to developing countries. For Depeche Mode fans, it feels like Christmas has come early this year. Possible exclusive, intimate performances, a new album, and a world tour—what more could we ask for? Check out their tour dates below.